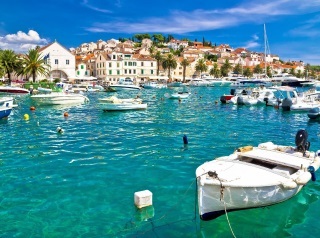 At the crossroads of central Europe, the Balkans and the Mediterranean, Croatia and it’s more than a thousand islands off the Adriatic coastline is a true jewel of the region. 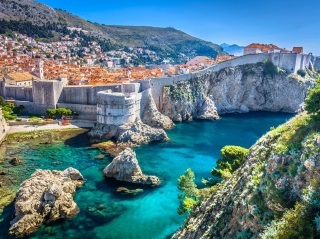 This active itinerary is perfect for those who wish to see the best of the country, from its capital Zagreb, to the World Heritage cities of Split and Dubrovnik, along with an idyllic way to see the islands on board a privately chartered sailing yacht. Spend the days as you wish, swimming in private coves, hiking the hills, tasting local delicacies and wines, and discovering charming towns along the way. You will be in the company of local English speaking guides who have a passion for introducing you to their country to make the most of your visit, with time on your own too. We believe that to travel responsibly, a portion of our tour cost should benefit communities in need. For this trip, our donation will go to a non-profit organization we support that is having a very positive impact around the world: DOCTORS WITHOUT BORDERS—a humanitarian-aid organization that provides ongoing emergency medical aid around the world. For more information and to get started, contact us at How to Book. On arrival at the airport, you will be met by our representative and transferred to your hotel by private car. Rest of the evening at leisure. Depart for a half day tour of Zagreb. Start with the Upper Town, or the old part of this vibrant, historic capital city. Enjoy the classic façades, lush gardens and striking Neo-Gothic buildings as you walk. Take a peek inside Zagreb’s famous Gothic style cathedral, then on to some less famous, but still intriguing corners of the city. After exploring the Upper Town, take a funicular ride down to the Lower Town, where you’ll find the main square, many coffee shops and even a few parks. Rest of the day at leisure to enjoy this charming, walk-able city. Today, you will be picked up at your hotel in Zagreb and transferred to your hotel in Rovinj. Check in and enjoy the remainder of the day at leisure. Istria is terra magica! There are many cultural treasures here – bell towers pierce the clear Istrian sky and churches are painted with beautiful frescoes. 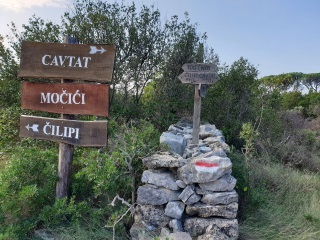 Istria is the land of landscapes, painted with thousands of colors, the land of little walls, stone, rivers and waterfalls and centuries-old olive trees. Explore the hilltop towns of the Istria peninsula. Start out with a drive to Grožnjan, an Istrian medieval hilltop town filled with galleries and artists. Our next stop is Oprtalj, with its unchanged urban medieval style of buildings, the narrow streets and beautiful Venetian palaces. Later we visit Motovun, an ancient little Istrian town located atop a 900-foot-high hill. Its present appearance, with the city walls surrounding the center of the town, dates back to the Middle Ages. This morning, your driver will take you to Plitvice National Park, the first Croatian National Park. Start your visit hiking along the wooden paths and bridges, in and around Plitvice Lakes. Its exquisite series of 16 emerald green and blue travertine lakes, more than 90 waterfalls and numerous caves make it a UNESCO World Heritage Site. The lakes are surrounded by beech and pine forests and are home to extensive wildlife. Depart Plitvice National Park and drive to Split, where you will check into your hotel. Rest of the day at leisure. 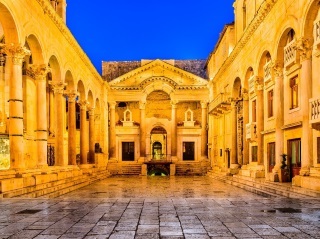 The ancient city of Split is is simply stunning and is one of the most beautiful UNESCO World Heritage Cities. The Diocletian’s Palace, Peristil, St. Doimus’s Cathedral, the Piazza and other monuments are unique in the world. Split also has its wild side. The Marjan Park Forest, which proudly guards the city, is also called the lungs of the city. The entire Marjan peninsula is dotted with tiny churches many centuries old, large black pine trees, Mediterranean plants and herbs and beautiful beaches. With your local guide, explore Split on foot, ending the excursion with a walk up Marjan hill. Rest of the day at leisure. Transfer by ferry to Hvar this morning. Upon arrival, check into your hotel and get ready for your afternoon adventure. 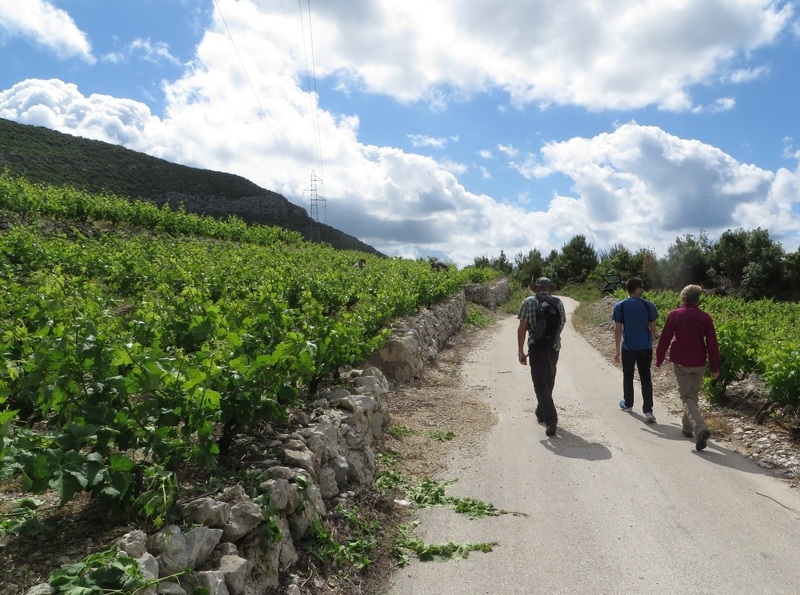 This afternoon, journey through the history and culture of Hvar wine making, with your expert local guide, who will bring the story of local wines to life for you. 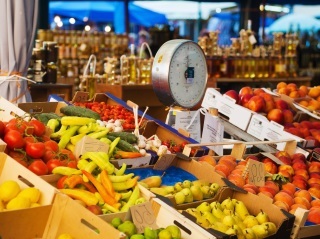 This sublime half-day program visits the most outstanding wineries on the island. 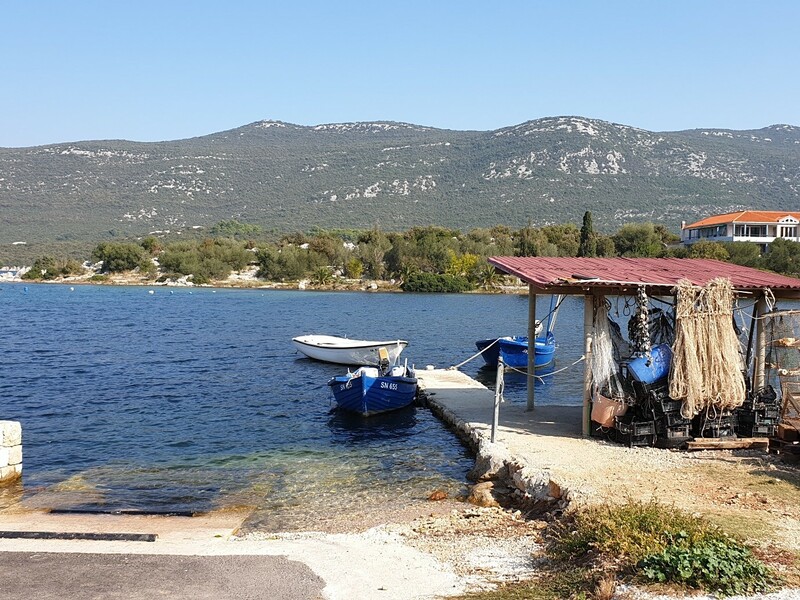 Just a short 25-minute drive from Hvar Town and you’re in wine country! After a tour of the Hvar vineyards, cellars and production facilities, you’ll be invited to participate in a wine tasting paired with local food delicacies. 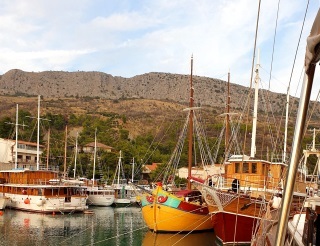 This morning meet your skipper and board the sail boat that will be your home for next 4 days. Debrief with the skipper to discuss and refine your itinerary as he can make adjustments to ensure you are happy. Depart from Hvar and begin your adventure! Enjoy exploring Korcula today at your own pace. Claimed as the birthplace of the Italian explorer Marco Polo, Korcula is a historical, fortified town on the east side of the island, populated even before the Greeks. Later on, it was chosen by the Venetians as a spot to build a city in the shape of fishbone which provided natural air conditioning and protection from attacks and bad winter weather. Mljet is the most southerly and easterly of the larger Adriatic islands of the Dalmatia region of Croatia. The National Park is at the western part of the island where you can find Veliko Jezero (The Great Lake), Malo Jezero (The Small Lake) and Soline Bay. Be sure to explore Veliko Jezero, the Isle of St. Mary, Malo Jezero and the villages of Govedari Polace and Pomena. Enjoy your last morning aboard your sailboat as you make your way to Dubrovnik. Upon arrival at the marina in the early afternoon, check out of the boat. After check-out, you will be met by your driver at the marina and transferred to your hotel by private car. 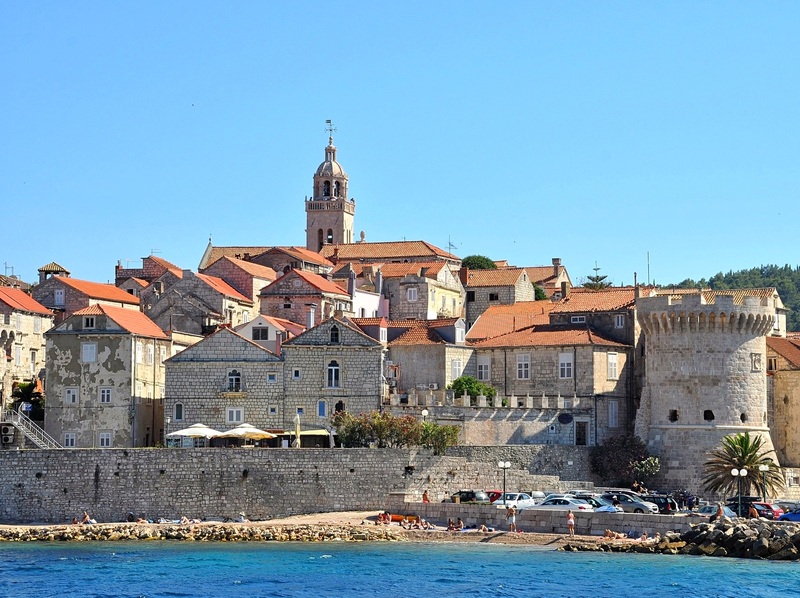 Spend the afternoon walking the old city of Dubrovnik with your guide. Walk along the city streets, duck into magnificent churches, visit one of the oldest working pharmacies in Europe and enjoy the spectacular views of the area from the city’s old walls. Evening at leisure. One option is to continue your walk through Old Town and choose a lovely restaurant with outdoor seating for a glass of wine or a meal. Enjoy a day at leisure to explore on your own or take an optional hike in forested hills of the Konavle Valley region. Another option is to take a day trip to the beautiful bay and heritage city of Kotor, in Montenegro. 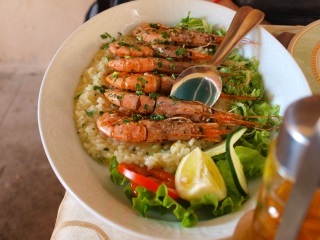 After breakfast, transfer to the airport for your flight home or extend your stay in Croatia. For pricing and hotel information, contact us at How to Book. The specifics of this itinerary are subject to change based on local conditions at the discretion of Ponte Travels. • Rates shown are per person, double occupancy, based on a minimum of 4 people traveling together. Airfare not included.